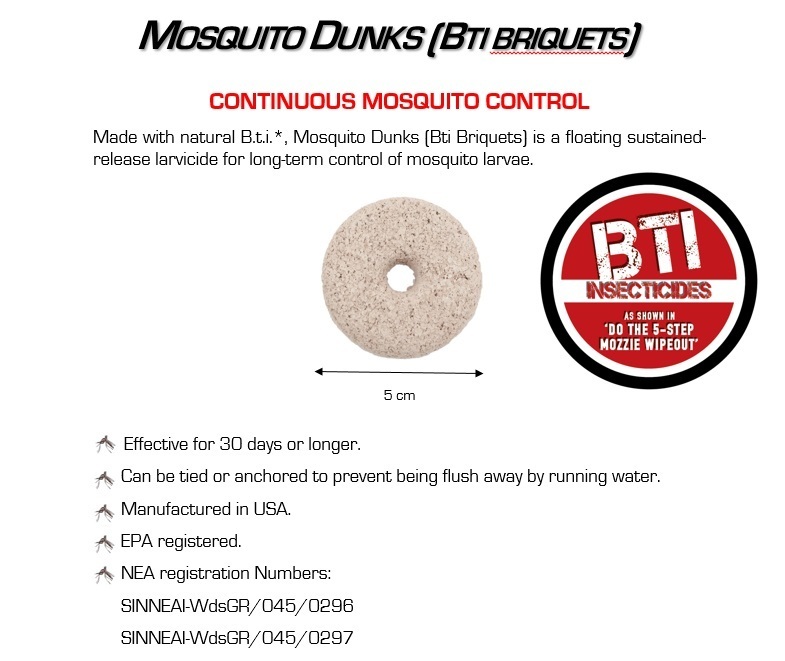 Mosquito Dunks are formulated to release effective levels of BTI for a period of 30 days or more under typical environmental conditions. The floating action of the dunks will ensure that active material is released at the surface as well as gradually settle to the bottom. 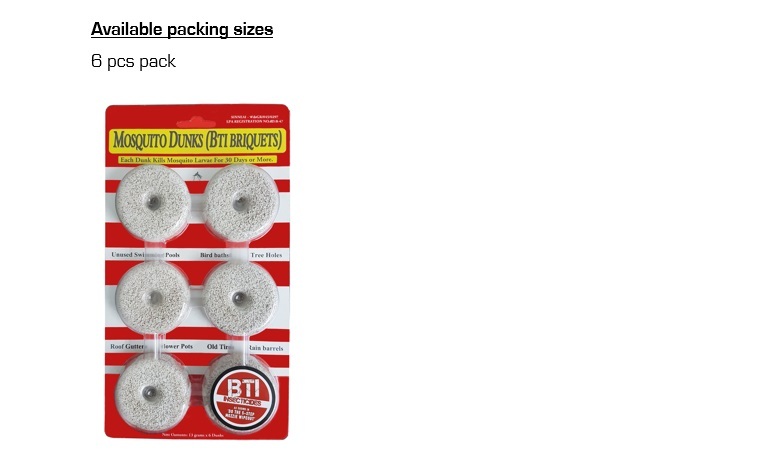 These dunks may be used in all types of containerized mosquito breeding areas. 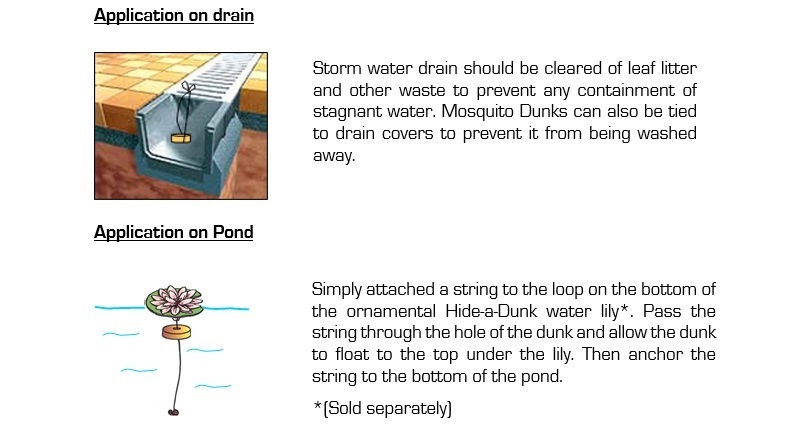 To prevent dunks from being flushed out of certain treatment sites, they can be anchored using a string tied through the hole in the center or staked in place. 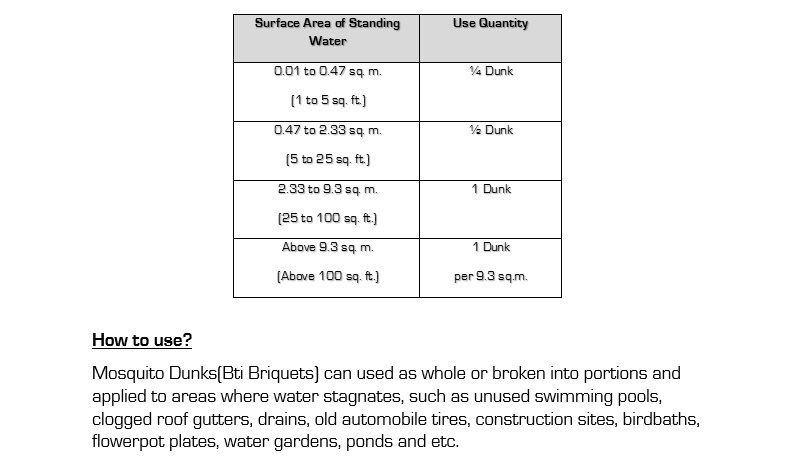 Mosquito Dunks can also be applied to dry areas which are known or suspected to become breeding sites when flooded, such as abandoned swimming pools, the dunks will float to the surface when flooding occurs and start releasing the active BTI material. 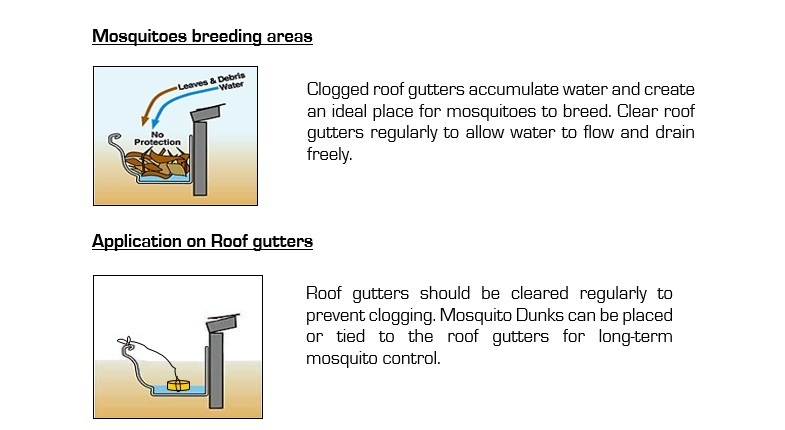 Alternate wetting and drying will not reduce their effectiveness.